Also cannot log in through facebook. 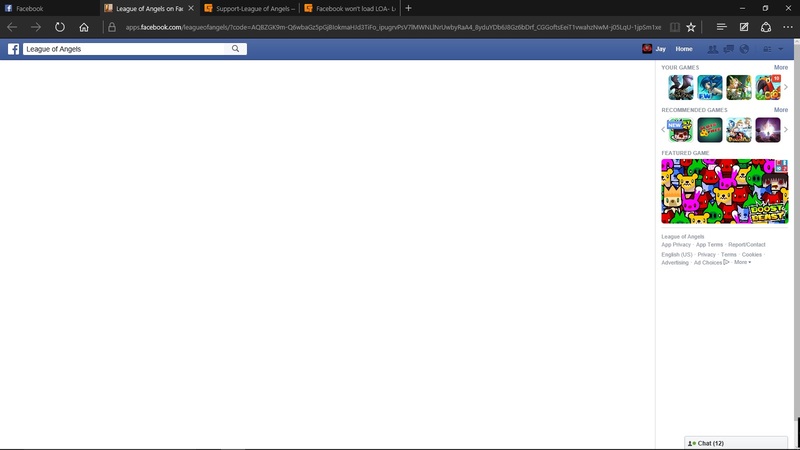 ; facebook was down for about 30 minutes and its up and running again on all browsers. ; Other gaming apps work through facebook except for LoA. ; It doesn\'t connect it refreshes for about 5 minutes while attempting to connect to gtarcade but fails to connect. ; Also tried on all browsers. ; Same Issue. I will need IGN\'s and server numbers please and I can have them investigate further. Thanks! 2019-4-21 14:57 GMT+8 , Processed in 0.062965 second(s), 44 queries .